Book before you fly with Holiday Extras and you could save up to 60% on your airport parking vs the price you'd pay on the day. Great value holidays at Titan Travel! Great savings at Haven Holidays. Fantastic savings with the code used at checkout! Save up to £300. Save £100 (£800 minimum spend), to Save £200 (£1,750 minimum spend) and to save £300 ( £3,000 minimum spend). Treat yourself to an amazing value 2 night offer with dinner. Save the pennies when you book in advance! If you sign up you can be an exclusive member and get offers and deals before anyone else. The best parking deals available at the UK’s airports. Luxury Included® resorts you can truly delight in love from Jamaica to St. Lucia, Antigua, the Bahamas, Grenada and Barbados. Great savings with the code used. Great savings at Sykes Cottages! Take a trip to the seaside this summer and save some money with 3 for 2 package! Fantastic savings at Thomas Cook Airlines. Great savings at Alfa Travel! Choose from selected Summer Alpine holidays and save £50pp on all one-week holidays and £100pp on all two-week holidays. UK Shorts Breaks From £15pp At BreakFree Holidays - Using Codes: BEACH, SAND, EASTER, BREEZE, SHINE, WARM. Click to get Code BEACH, SAND, EASTER, BREEZE, SHINE, WARM. Great savings at Pierre et Vacances. Fantastic savings at Qatar Airways. Enjoy spring with Brittany Ferries. Take a break with Shearings this April and you'll save at least 10% on UK and European holidays. Join the membership and enjoy 10% or more off selected hotels! Great savings at Apex Hotels. Plus lots of other savings up for grabs! Get the latest offers and news easily! Sandals Resorts would like to extend a great offer just for you! Save yourself up to 50% with our great value rail + hotel deals to over 400 destinations and discover somewhere new on your next short break. Pack your things for holiday filled with colour and adventure. One you and your family will never forget. Sail away and explore Amsterdam during the spring with your car, with £35 off one way and £70 off return crossings from Newcastle to Amsterdam. Book your next escape in advance today. Easter break fantastic offers at Haven Holidays! Why not get away with a stay in one of these great value hotels? The Weekly Sale brings you last minute hotel deals including breakfast at the most popular hotels. Best Price this Week - £39 Bed & Breakfast per room per night for 2 people! Great savings at On the Beach! Valid On Departures Between 1 May to 31 October 2019. Minimum spend £250pp. Students get 10% off ferry prices! Surprise your loved one with a romantic break and get some serious “we time”. Enjoy a better start to your holiday for less money. Fantastic savings for this spring. It's time to pack your things for a new holiday destination! If you travel regularly to France or Spain, own a property or are interested in purchasing a property abroad, this Club Voyage Travel Club is a fantastic way to make substantial savings of up to 30% on Brittany Ferries direct ferry routes and services. Take your car to Holland for a short break of up to 5 nights and you can save up to 20% compared to regular ferry crossing prices! Departures 1 November 2019 to 30 April 2020. No minimum spend. Half price lounge promotion is based on 50% saving per person at No.1 Lounges at either London Gatwick (South Terminal) or London Gatwick (North Terminal). With the Stay & Fly packages, you will be refreshed for your travels. The MS Serenade 2 is one of our exclusively chartered ships exploring the stunning Danube and Main Rivers. Summer family breaks from as little as £209 per family. Give someone the gift of travel! Book your seats from 331 days before you fly. Book the Perfect Holiday Home! Great savings at Titan Travel. With BCP’s Meet and Greet airport parking you can start your holiday the way you mean to go on; relaxed and stress free. Save up to 20% on short breaks in 2019 – stay from just £46pp. Save on your airport parking! There's still time to take a break away and explore Pembrokeshire! Sleep well knowing that you’ve got the best rate for your stay. Book your Anantara experience now and enjoy a longer, more rewarding dream holiday. Unlock secret prices and collect 10 nights, get one free. Book your car in advance and save too! Super Savers offer a GUARANTEED SAVING OF AT LEAST 10% off the brochure price and in some instances the saving is over 30%, amounting to a whopping £100 per person. If you're in search of quick getaway, then you're in the right place! 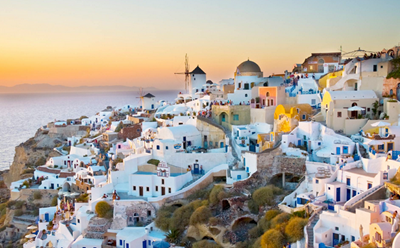 Get 40% off Hotels and Save on Flight + Hotel Deals! Great savings at Legoland Holidays! amily Holiday from as little as £59 per apartment, so what are you waiting for? Find the best holiday for you at Eurocamp. Great savings at Thomas Cook Airlines. No matter what you are looking for from your next holiday you’ll be able to get money off it here. With a huge range of deals and voucher codes on destinations around the world available you’d have to be mad not to at least take a look. We all love going on holiday, we love the anticipation, we love buying the new clothes for it and of course we love actually being there which is why they are so important to us Brits. We work hard and save up all year for those magical few weeks when there is no boss, no work and no stress. When we can just relax and enjoy some quality time with our loved ones. So if you’re planning your next dream vacation you’ve come to the right place as we have hundreds of savings on holidays from Thomson, First Choice and Thomas Cook as well as many more. We also have a collection of travel companies that cater to UK breaks such as Butlins, Helpful Holidays and Sykes Cottages. So what are you waiting for? Book your trip today and save yourself some hard earned pennies to spend whilst you're away. Holidays, always bringing us endless joy and excitement. They get us through those taxing Monday mornings, those boring meetings and those tiring commutes. We look forward to them, boast about the destinations and once back can’t wait to show off our holiday snaps. We scrimp and save to make sure that we have the best time possible when away with our family and friends. The travel industry has changed a lot in recent years with the introduction of the internet; which is now the most popular place to book a holiday replacing the high street stores. This means that travel companies can keep overhead costs down and display all their holidays in one place as well as all their latest deals. This created an increased level of competition between companies; all trying to offer their customers the best price which is great for us as we can get our dream holidays for the lowest possible price. It doesn’t matter what type of break you’re after they’ll be one to suit your needs whether it be soaking up the rays on the beach to partying the night away at exclusive bars and clubs. You’ll also find adventure holidays perfect for adrenaline junkies and cultural vacations for the history lovers. This long standing UK travel company is a well-known and respected industry leader which isn’t really that surprising when you consider that they offer a wide range of destinations, board options and also have their own airline. As well as having a plenty of high street stores filled with helpful and knowledgeable staff, you’ll also find that their website is easy to understand allowing you to book your holiday quickly without hassle with the peace of mind that you’re getting a cracking deal. This company really doesn’t need any introduction; this beloved holiday retailer has been providing wonderful vacations to Britons for many years and could easily be described as a UK favourite. Just visiting their website will allow you to see why for yourself with an unbelievable amount of destinations and all featuring fantastic savings that will definitely allow you a bit more spending money. Plus their staff are always happy to give advice and double check that you’re getting the lowest price for your holiday. The aptly named Home of the All Inclusive does exactly what it says on the tin. You’ll find an amazing range of breaks with this stress free board option. Who wouldn’t want to go all inclusive given the choice, well at First Choice you have it! You can get a brilliant holiday where you don’t have to worry about money for food or drink as it’s all covered and you’re bound to find your ideal one at a wonderfully low price. Searching for family friendly fun that doesn’t involve too much travelling (we all know how hard that can be with little ones) then look no further than Butlins who pride themselves on UK breaks that have been designed with families and children in mind. You’ll love the entertainment available for kids and adults and don’t forget all the activities on offer but more than that you’ll love the prices. They always have a new deal to be taken advantage of on their website, so there really isn’t any excuse not to book with them this year. Where should you go this year? Here at Voucher Codes Pro we are avid travellers so we’ve come up with a small list of must visit destinations. This one really is a no brainer, with traditional white wash villas, gorgeous beaches and of course heaps of history for you to delve in to. The views are spectacular and there are plenty of things to keep you busy each day no matter what your interests are. You’ll love the local cuisine, the tranquil setting and the friendly locals, trust us when we say once you get there you’ll never want to leave. Let’s not forget about the dazzling sunshine that graces this land in the summer months right through to October. Gold glowing skin is a given when visiting this delightful island. Beaches not your thing? 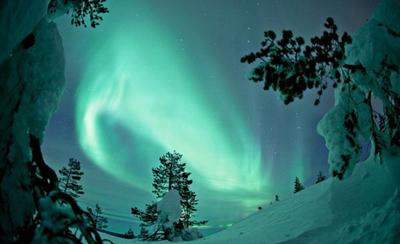 Then I think we may have found the perfect alternative; Lapland! This exciting destination is best enjoyed in one of the many adorable log cabins although no one could blame you for wanting to spend at least one night in one of the stunning ice hotels. Finland offers a great mix of outdoor activities such as skiing, sledging and snowboarding and family fun with reindeer sanctuaries and the best hot chocolate you’ll ever have! There is also one very important reason to visit this captivating place that we haven’t mentioned yet; the Northern Lights. There is nothing quite like a frozen winter wonderland and the sky lit up with breath taking swirls of colour. It can’t be explained how beautiful it truly is and no photograph can do it justice, so I guess you’ll just have to go and see them for yourself. This one is ideal for those of you looking for a beach to work on the tan during the day and a thrilling night life after dark. This island is just what you need for a bit of party but don’t be fooled it’s not just about drinking and dancing. 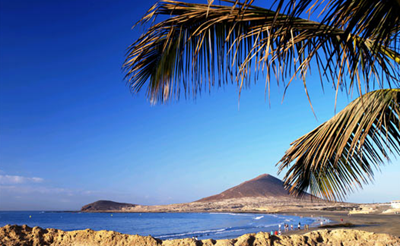 Tenerife is home to a national park, two world heritage sites and plenty of enthralling natural landscapes. So if you do visit Tenerife don’t forget to explore everything that it has to offer from its warm climate and water sports to its golf courses and historical towns. We would recommend this trip to anyone who loathes travelling as the plane journey is relatively short and pretty much all airlines fly there.